There is a grammatical significance to this discussion. In the end, the גמרא concludes that we are in fact referring to ר' אליעזר's position and the subsequent dispute regarding it. 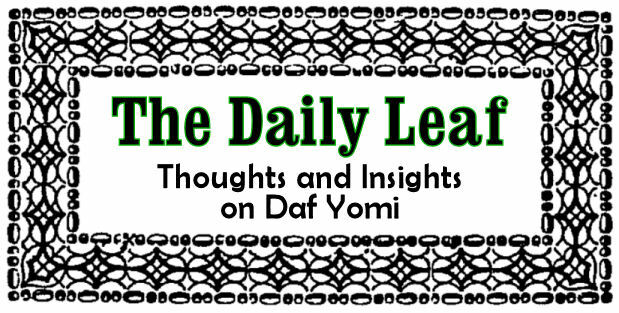 The first word of the משנה is therefore written/pronounced לְחָיַיִן, the exact translation of which would be a pair of lechis, following a similar structure to עינים or אזנים. If the משנה were to have been interpreted as the גמרא first suggested - referring generally to multiple lechis as they pertain to multiple alleyways, the word would be a simple plural and would probably be punctuated differently, although I'm not quite sure exactly how. This line in the גמרא seemed fairly simple to me. However, I found the way רש"י explained it to be somewhat troublesome. If I'm understanding correctly, he is suggesting that the מבוי would need to be extremely narrow in order for the אלכסון to be less than 10 אמות. But the simple Pythagorean calculation suggests otherwise. 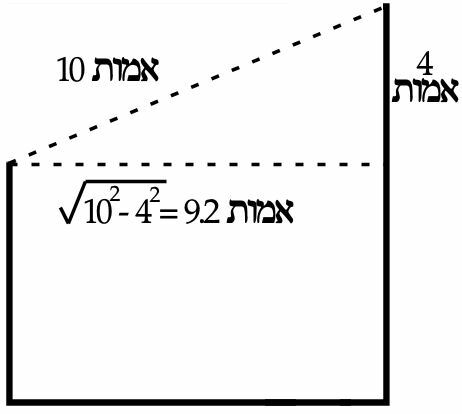 By the Pythagorean Theorem, as illustrated below, a 10 אמה diagonal is achieved only with an approximately 9.2 אמה width, given the extra 4 אמות of wall. A מבוי anyways has to be less than 10 אמות wide. So what exactly does Rashi mean? I found this assertion in רש"י somewhat troubling. Indeed, the משכן had already been built. But this was not the only משכן. On a number of occasions, the משכן was destroyed and subsequently rebuilt. Could it not be that the פסוק is saying that if we do 'ה's will, he will rebuild the משכן after it has been destroyed?